Jace moved to Vietnam in May, from Australia. 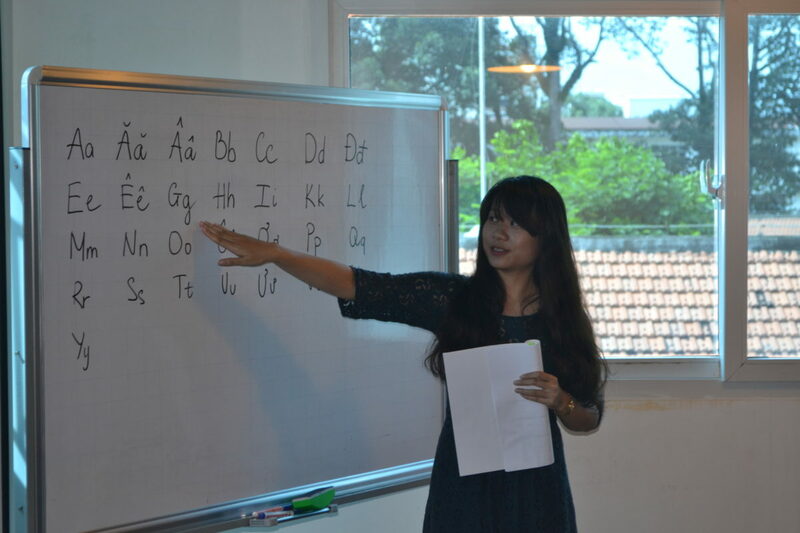 Teaching in the southern province of Binh Duong, Jace located about an hour away from Saigon, Jace teaches a wide variety of ages at his private language center. On a recent trip to Vietnam, we met up with Jace to hear firsthand about his amazing life in Vietnam. 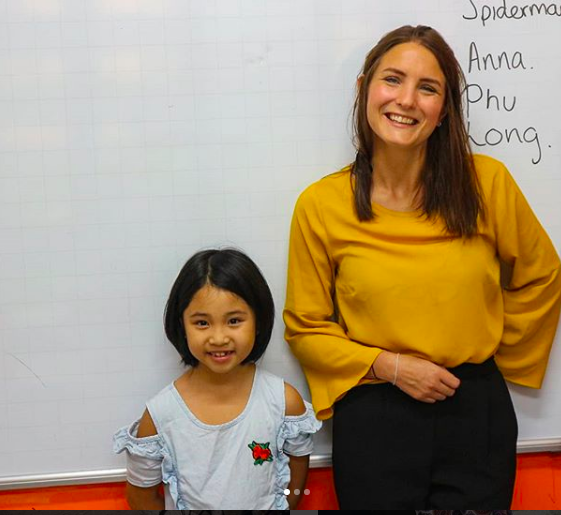 Check out the interview below to learn more about what it’s like to teach and live in a smaller city in Vietnam. What was the sequence of events that led you to come and teach English in Vietnam? I was looking to come and teach as an adventure and to go somewhere different from Australia; working with kids has always been an interest of mine as well. 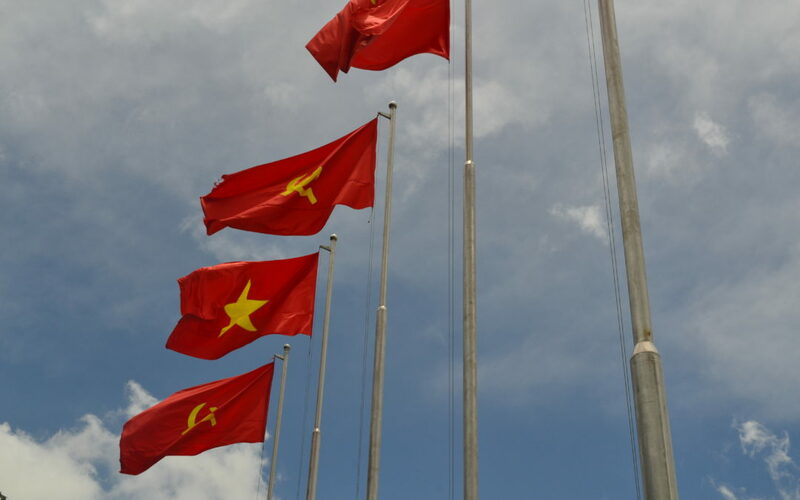 Why did you choose Vietnam? I liked the look and feel of Vietnam, and that it had all modern amenities. 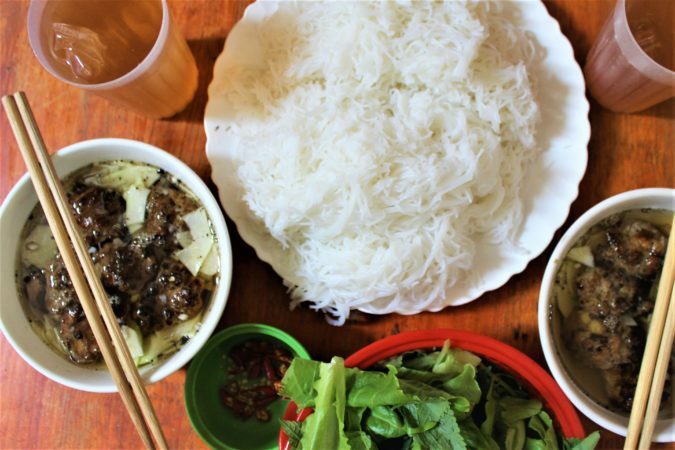 You have to brush up on Vietnamese, but it’s still quite rewarding living in Vietnam with all of the shops, cuisines and people. Where did you live in Vietnam? 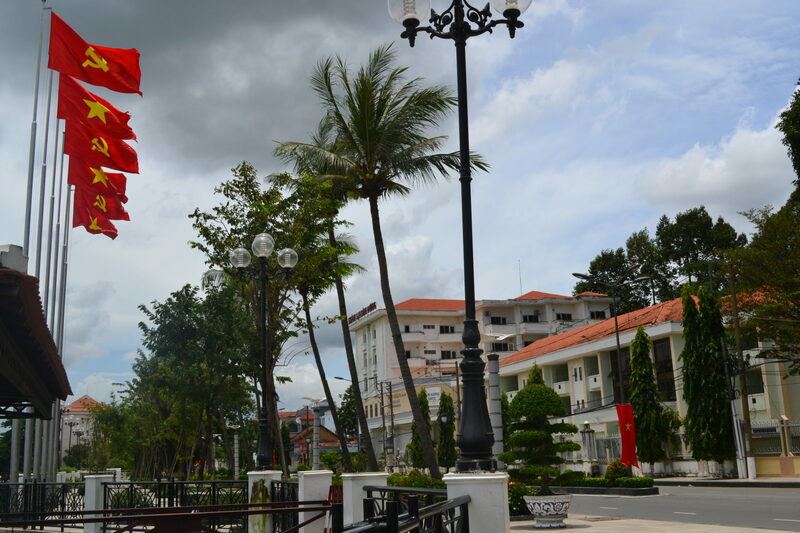 I lived in Binh Duong which is about 25 kilometers from the center of Saigon, the capital city of South Vietnam. That makes for a 50 minute ride in a cab or motorbike ride given the traffic. It is north along Saigon River, which flows right past Binh Duong. It is considered a satellite town of Saigon. It’s close enough to Saigon that you can travel there and back in a day if you need to for work. A lot of people and facilities are still based in Saigon, but we have a lot of new hospitals and facilities here too. What were your impressions of Vietnam? The people are very friendly and eager to practice their English with you. I have had many experiences with people being very friendly and wanting to take me out to dinner. Saigon itself has pretty much met every expectation: crazy traffic, hectic, but that’s what makes it really fun. 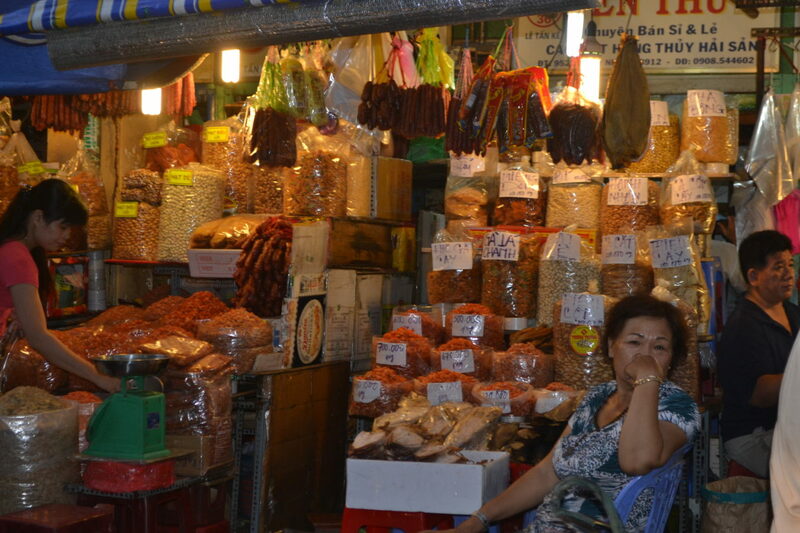 There are many interesting things to see for particularly the markets and food. Binh Duong has a little bit of the provincial flavor I was looking for. You do have to make little effort to get out into the countryside, but there are plenty of places to see. In terms of where you stay and friends you can make how has that been? 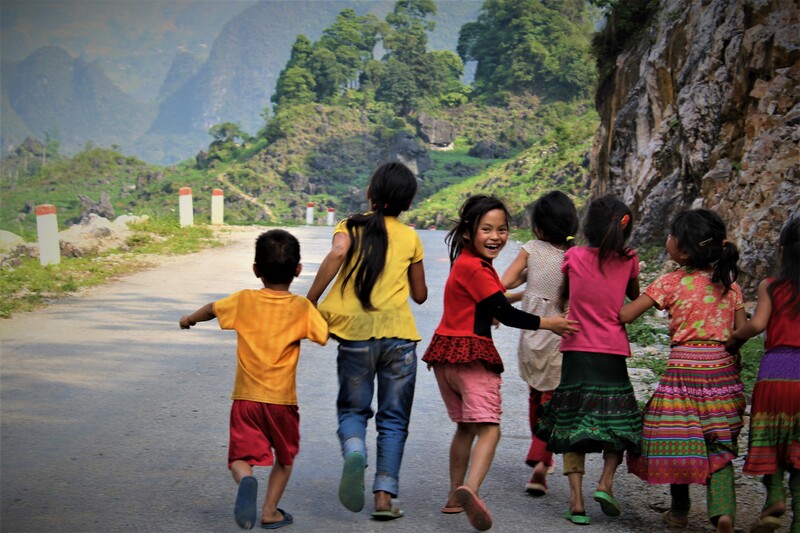 It’s been great living in Vietnam, especially in the expat communities, but more so I love the local communities. That’s where you get the real Vietnamese flavor hanging out with the locals. A lot of the staff- the managers, receptionist, teaching assistants are all Vietnamese. They are all young, energetic, and love to show you around. The Vietnamese locals are proud of their culture, so that’s been one of the highlights of living here. 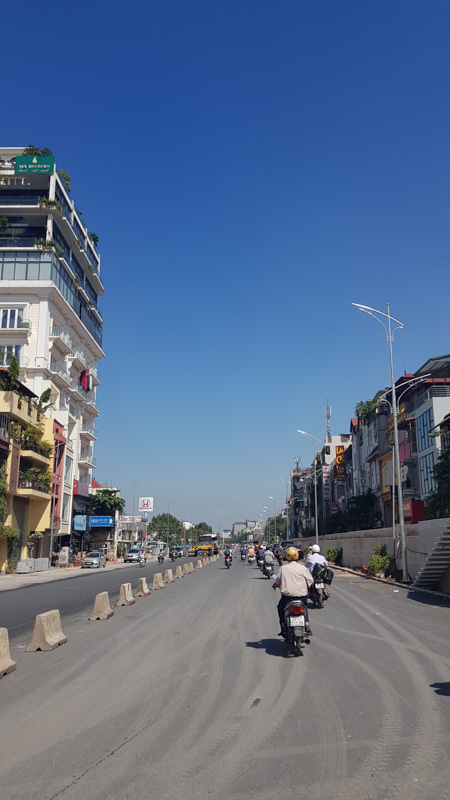 Binh Duong is a flourishing and developing city, where I live are great new apartments. There are also great food including, international food, Japanese, American BBQ and Indian. It’s quite comfortable and not a major culture shock here like I was expecting. We even have Australian beef so I can’t ask for more. How often do you get to go into the city? I have the opportunity to train in the city at least once a month with my school. Otherwise, I go there at least every two weeks to have dinner, meet friends, take photos, and to be a tourists and see the sights. How did you find your accommodation and what is it like? When I first came here my school set me up for a week. I found my accommodation just by speaking with people at my center, and they showed me around. My apartment is a fully furnished studio with a bedroom, kitchen, and a balcony. I can see Saigon on a clear day. There are 3 convenience stores on the bottom of the building and a massage parlor. My building has a gym and there are local pools that are quite good. That depends, sometimes I visit Saigon as it is quite close, and cinemas here are also quite good. It’s quite easy to make friends with the TAs here so often we are eating out for lunch, dinner and after class. What else do I do here? Be a little bit of a tourists visit pagodas, temples, walk along the river, drink caphe su da of course (Vietnamese coffee) and lots of pho. 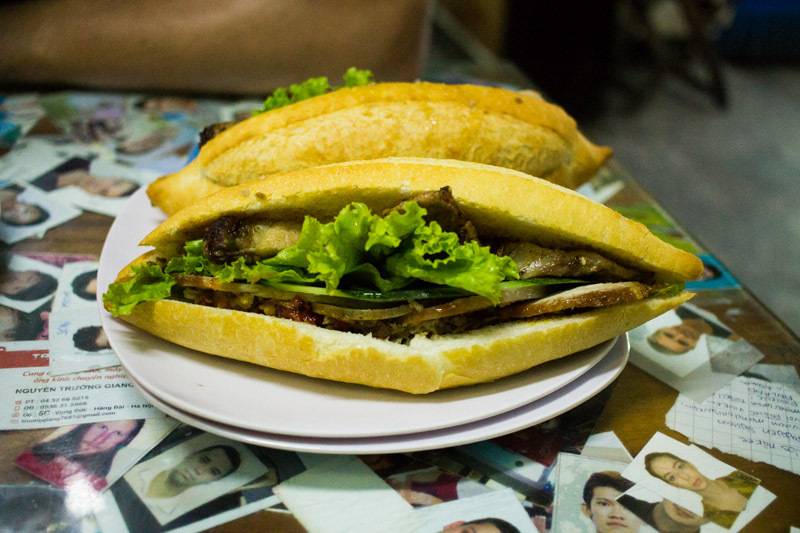 What type of food do you eat in Vietnam? I really love a dish with Chinese pork and noodles. That is my absolute favorite, so I go any chance I get. I also eat the staples which are pho, beef noodles or, beef stew, or bahn mi the baguette style sandwiches you find on every corner. 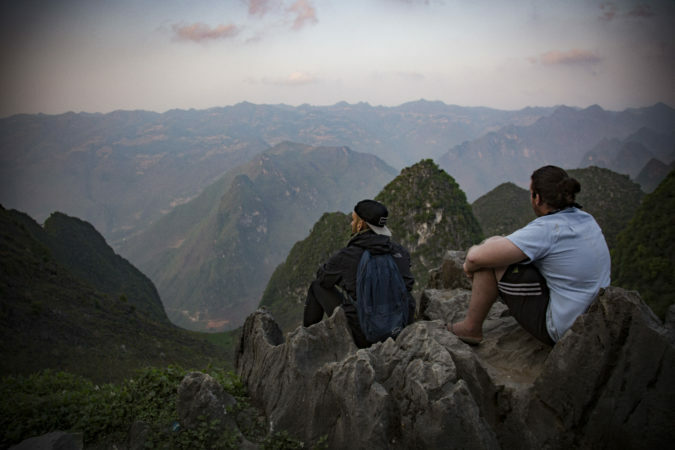 What are some day trips from Binh Dong? The Cu Chi Tunnels are 20kms away, I really enjoy just driving along the countryside seeing nature, and walking along the river. Saigon is really the main destination. Dalat, Da Nang, and even the Mekong delta are quite easy day trips. Have you experienced culture shock in your town? 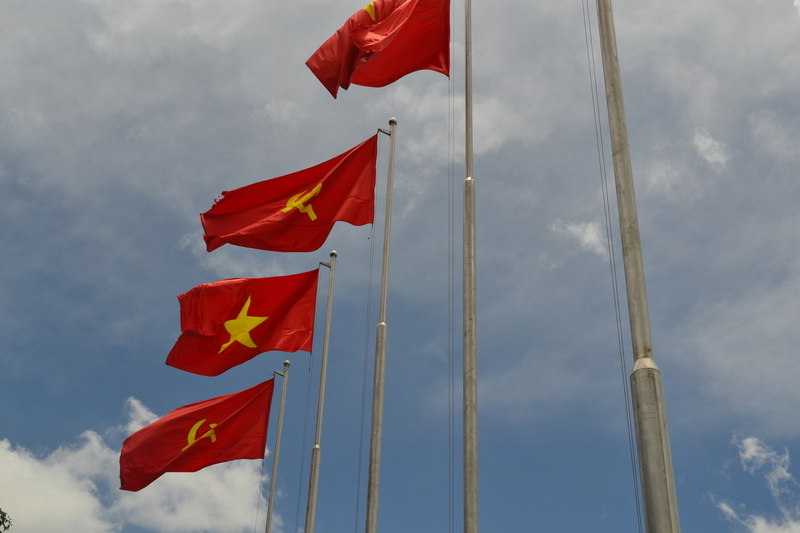 My first culture shock came when I was in Saigon during my first week of training. It was the pace of the city and how people are sort of attracted to you as a westerner. It is still quite common for me to walk in and order a coffee and everyone turns around and looks at you. Unfortunately everyone thinks I am American but I won’t hold that against them (Jace is from Australia). It is quite pleasant for everyone to be interested in you and want to practice their English, everyone is quite friendly. Do you save money living in your town? It’s very financially comfortable living in Vietnam; things are definitely a bit cheaper than in Saigon. You can certainly save a lot of money especially being a foreign English teacher. You are paid quite well for the job that you do. There is also the opportunity to do over time and take on extra classes to earn extra money. It is quite easy to save whether that is for travel or other personal reasons. 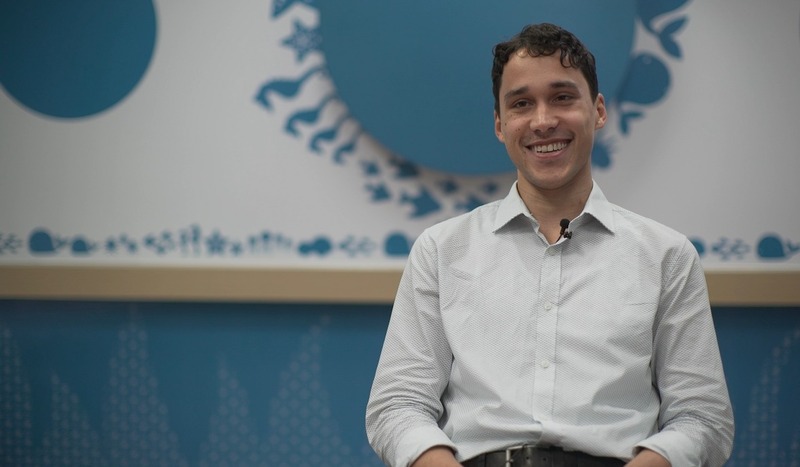 Jace moved to Vietnam in May, from Australia. 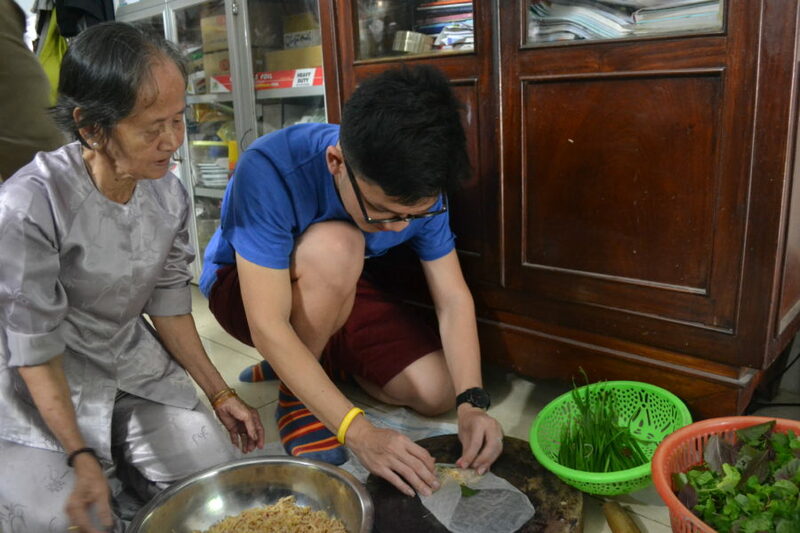 Teaching in the southern province of Binh Duong, Jace located about an hour away from Saigon, Jace teaches a wide variety of ages at his private language center. On a recent trip to Vietnam, we met up with Jace to hear firsthand about his amazing experience teaching English in Vietnam. 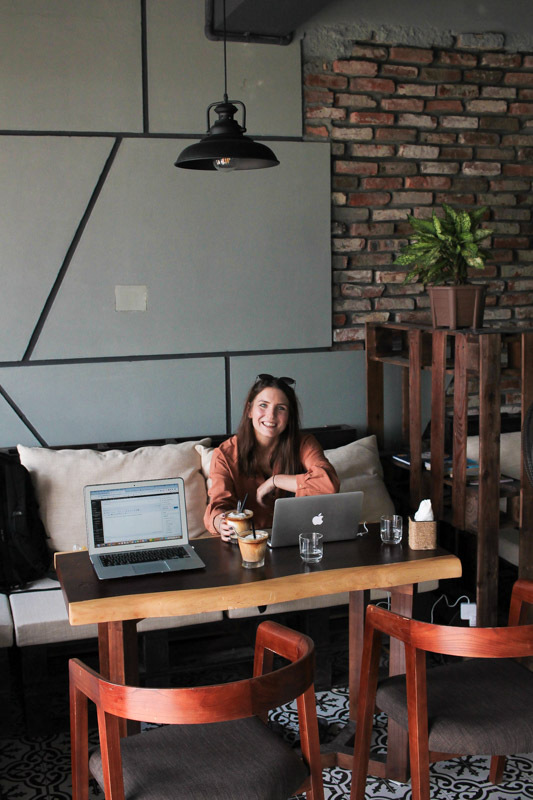 Check out the interview below to learn more about what it’s like to teach and live in a smaller city in Vietnam. Do you think there is a need and demand for people to teach English in Vietnam? There is definitely a demand for teaching English in Vietnam, as people recognize it is the global language. I am quite surprised actually how many people want to learn English and at all different levels. It is also quite good in Binh Duong, because a lot of parents come from Saigon and have an expectation of quality English. They can tell when a language center is teaching substandard English so there is a need for westerners to come teach in Vietnam. My school is the newest branch and also the smallest. We still need new teachers to grow the center. Class sizes range from 6 – 15 students. I also have a teaching assistant or two in each class. There is a lot of room to get to know the students. Parents are here before and after every class. Getting to talk with them is very rewarding. Why do parents send their children to your school? 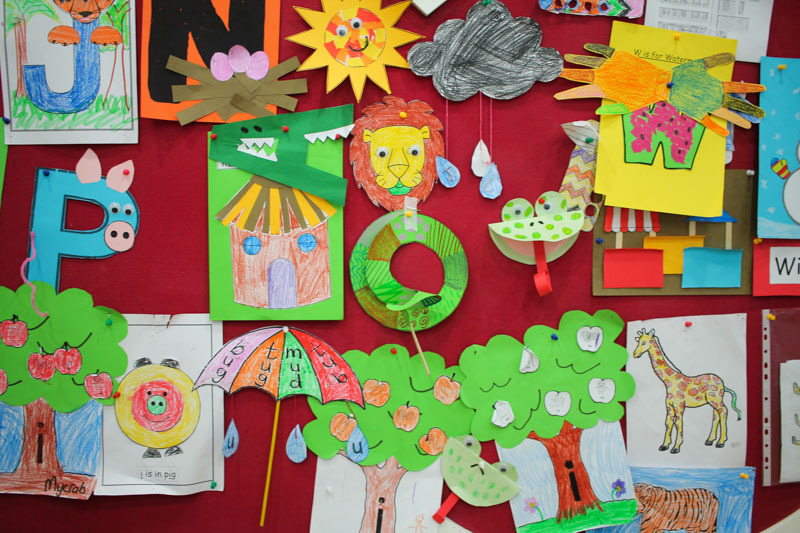 They come here because they see it as a place where their students can be global citizens and have that sort of formal higher end language training. We work hard to deliver that to the students. The kids are fun, energetic crazy, really sweet and genuine. When you give them the attention it is extremely rewarding. One of the best things that has happened only in three months is seeing my students pass exams, have fun, and use a bit more English. Do you have same kids for long period of time? At the moment classes are 108 hour semesters, 36 hour chunks. Teachers teach 2 classes a week for entire time. You have the potential to stay with your students for years if they stay with you. One of my favorite classes is the teens class because you can have very natural human interactions with them; ask them about their lives and their culture. That’s one of the best things about being from a foreign country. Showing interest and asking the students what their lives are like, because I can learn lots from them too. Why is it important for people to go to new countries and learn about new cultures and immerse themselves? For me personally the sense of adventure, although it sounds a bit trite is a real one. I think people do have a keen interest in what’s going on in the world, and the only way you can do it is to live in another country and work there. It has a completely different feel then just backpacking. To be grounded somewhere and sort of set down some roots for a period of time is really important. You learn so much about yourself. Also, escaping your usual confines and seeing things with new eyes is really important on a personal level as well. I think For me South East Asia, as it is quite close to Australia, was a key interest of mine sort of just being in the region too. 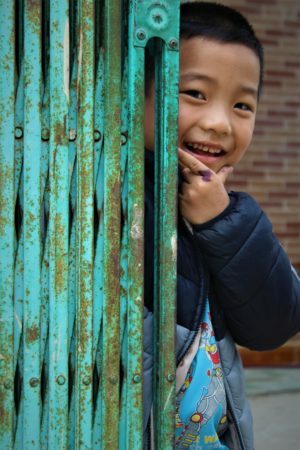 What would you tell someone who will soon be teaching English in Vietnam? First I would say keep an open mind and be open to the culture. If you are open, warm and friendly you will be rewarded likewise. That has been one of the most rewarding things here, to actually be a part of the community and feel like a bit of a local. Really driving around on a motorbike and eating pho. Thank you to Jace for taking the time to meet with us and answer our questions. We had a wonderful time getting to explore your town and see your school. Everyone we met were extremely kind, wanted to get to know us, as well as helped us try to find our way around town. It also makes us happy to see our XploreAsia teachers doing great and really embracing their time teaching English in Vietnam. Teach in Vietnam: Our First Orientation Week! This month XploreAsia hosted its first ever TESOL course in Ho Chi Minh City, Vietnam. Our participants were able to partake in a fun-filled orientation week with cultural, historic, and tasty(!) excursions followed by an internationally accredited 120 hour in-class TESOL. 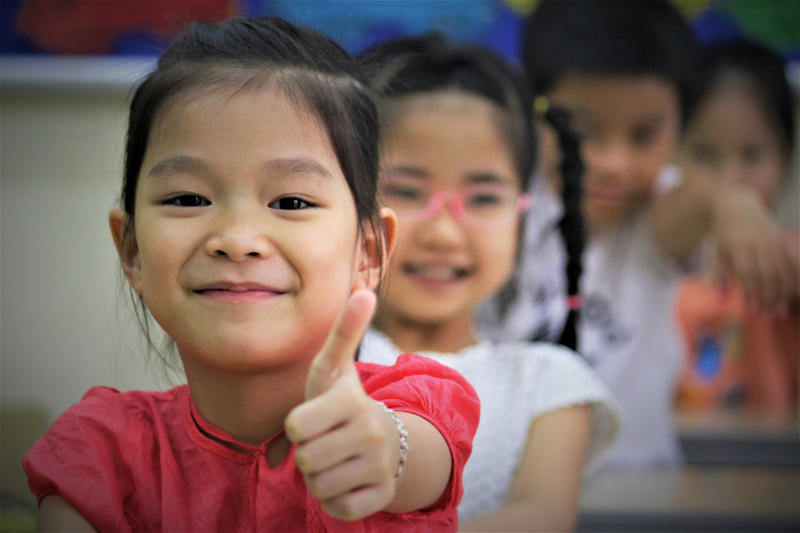 The opportunity to teach in Vietnam is a great experience; Vietnamese people have such a strong friendly spirit, and are excited to better their English. The country itself is such a unique place full of historic sites, distinctive culture, and amazing food. Lisa Dershowitz gives her insights from our very first cultural orientation week in Ho Chi Minh City (HCMC) Vietnam. In a week of incredible experiences, find out what we got up to! 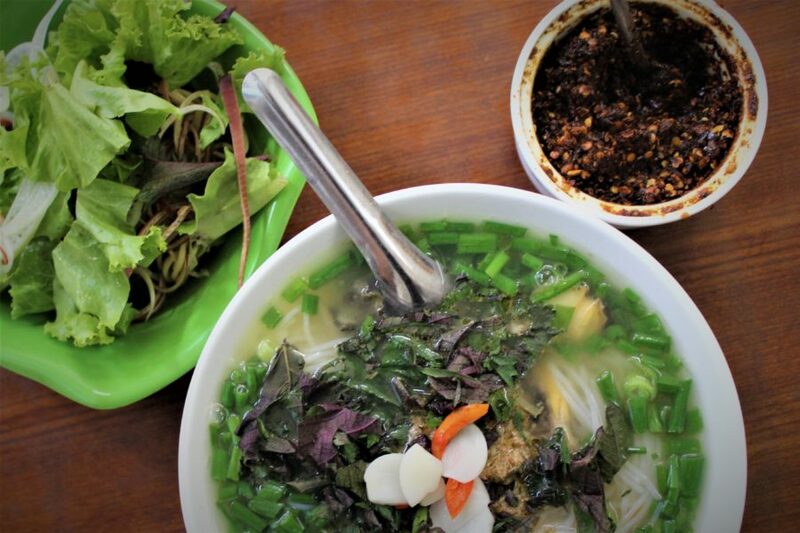 Vietnam has so much to enjoy, and it’s not just the food! 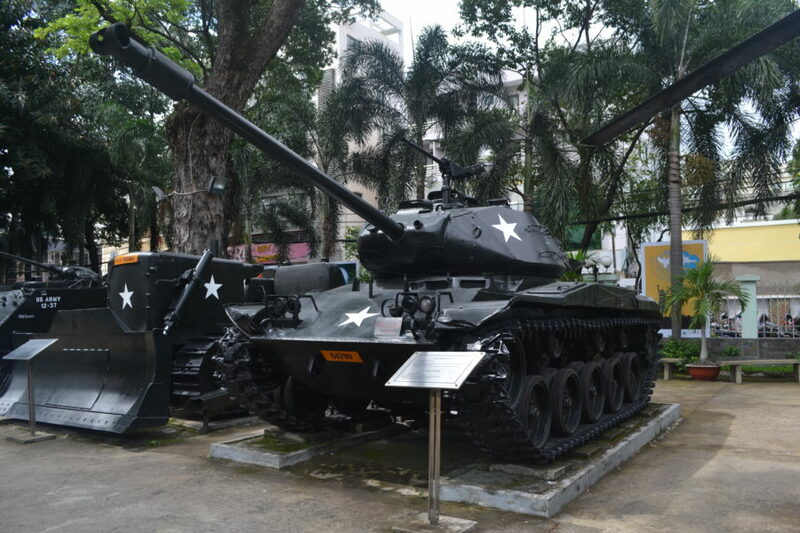 War Museum: Here we were able to learn about the Vietnam War from the perspective of the Vietnamese. The museum is a great opportunity for people to visit, and can be quite emotional. As an American, this museum definitely had a huge impact on me. However, even after our long history with Vietnam, I have found the Vietnamese people to be very welcoming to me, even after they learn where I am from. 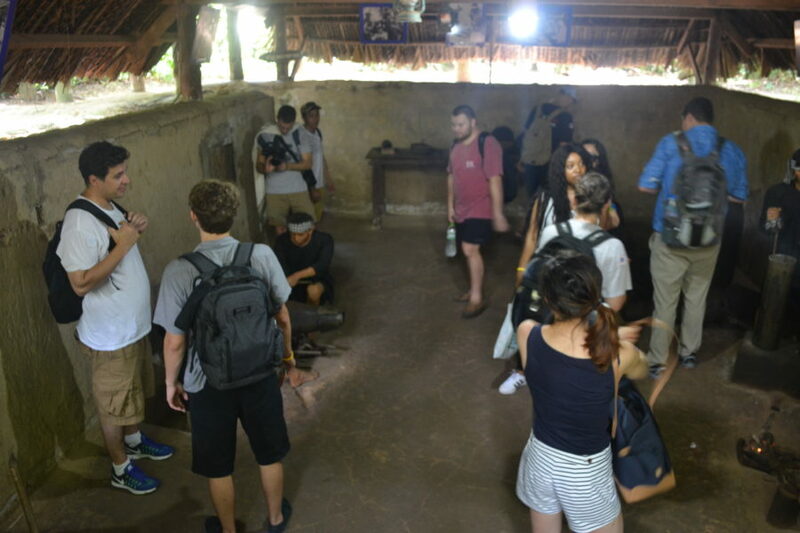 Learning about the history here in Vietnam and seeing it from a different perspective is a very important part of living in Vietnam; by understanding the history we can better understand the people and its culture. 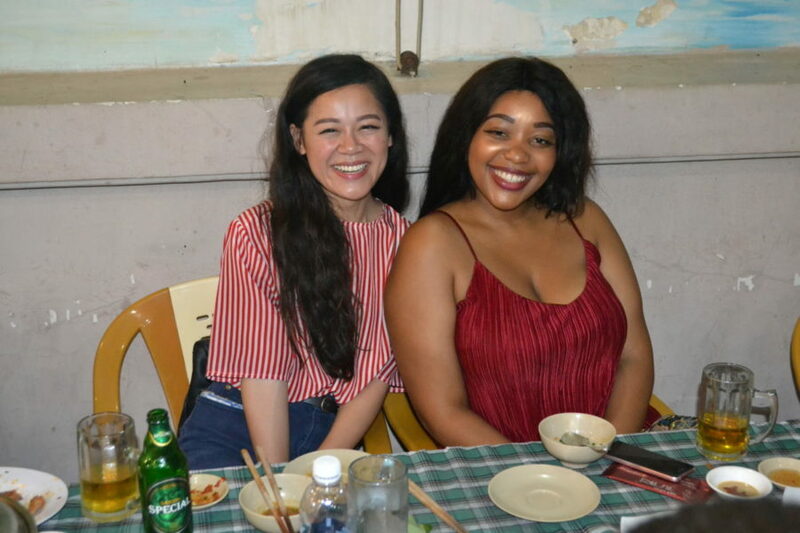 Night Market Food Tour: Our first teach in Vietnam group went out to learn more about Vietnamese food, and to eat where the locals eat. 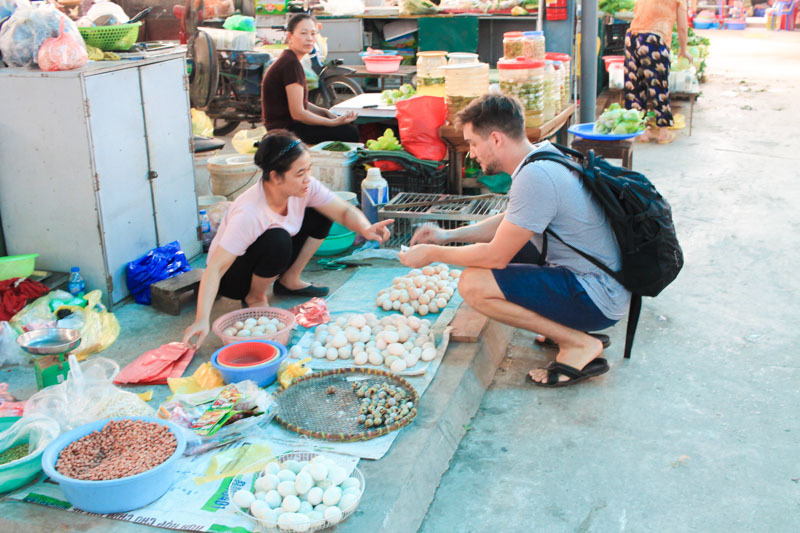 We all traveled to one of the local markets where we were able to walk around and sample foods like fresh dumplings and dried chicken. The dumplings were quite the hit, and I am pretty sure we bought out the entire market. Afterwards, we all sat down at a few food stands where we could have dinner and fresh smoothies, including an avocado smoothie! We ended the night sampling some sweet treats that consisted of a variety of sticky rice dishes. This was a great experience as it opened everyone up to new foods that they could eat here in Vietnam. 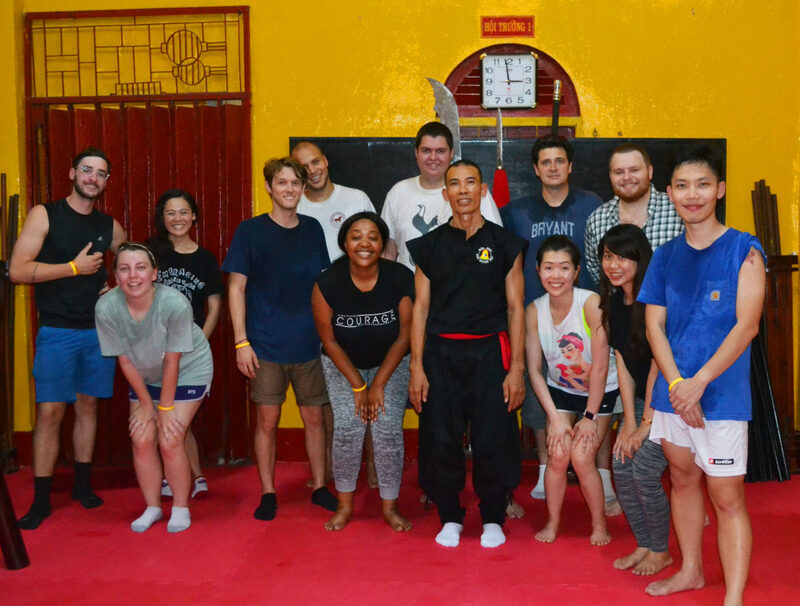 Martial Arts: We all got to test our Kung Fu skills at Nam Huỳnh Đạ, a training gym in Ho Chi Minh City. The head master there was able to give us a background in the art’s history and how it came to be. He was also able to show us around the beautiful temple that the classes are held in. This class encouraged everyone to really push themselves to try a new sport that people have practiced for years in Vietnam. I don’t think myself or anyone else has ever sweated so much. Language classes: Throughout the week we were able to take part in Vietnamese language lessons from our very own program coordinator, Jenny. The language can be a bit difficult as it has many tones. Jenny did a wonderful job at making it fun, interactive, and the language seem easy. 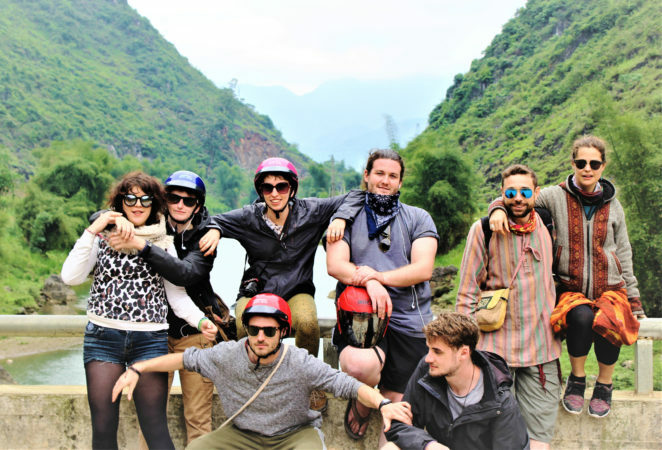 Learning the language a little will make immersing yourself in a new culture far easier, while you won’t need much Vietnamese to teach in Vietnam, embracing the other aspects of life here will be made much easier. Even if it is only the very basics! Cooking Class: One of my favorite parts of the orientation week was our market tour and cooking class. 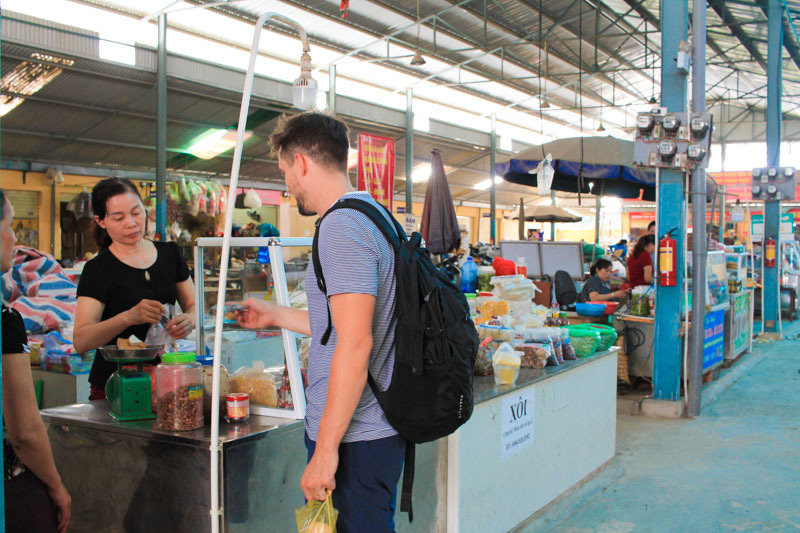 We all traveled to a different district and visited one of the local day markets. There we walked around picking out the freshest ingredients to cook with later in the week. 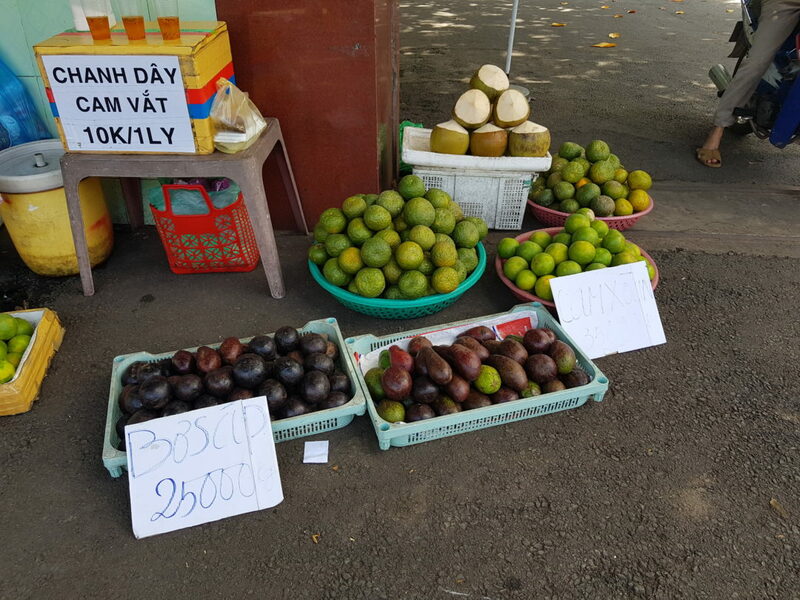 We were able to try different tropical fruits like longans and mangosteens. In addition, we stopped for some delicious Vietnamese coffee and smoothies. After our tour of the market we headed off just outside of the city to Jenny’s grandmother’s house. Here we were able to relax and get a taste for the countryside here in Vietnam. Jenny’s grandmother was so sweet and happy to have us stop by her house. She had one of her sons fetch and cut open fresh coconuts from the large tree at the house. 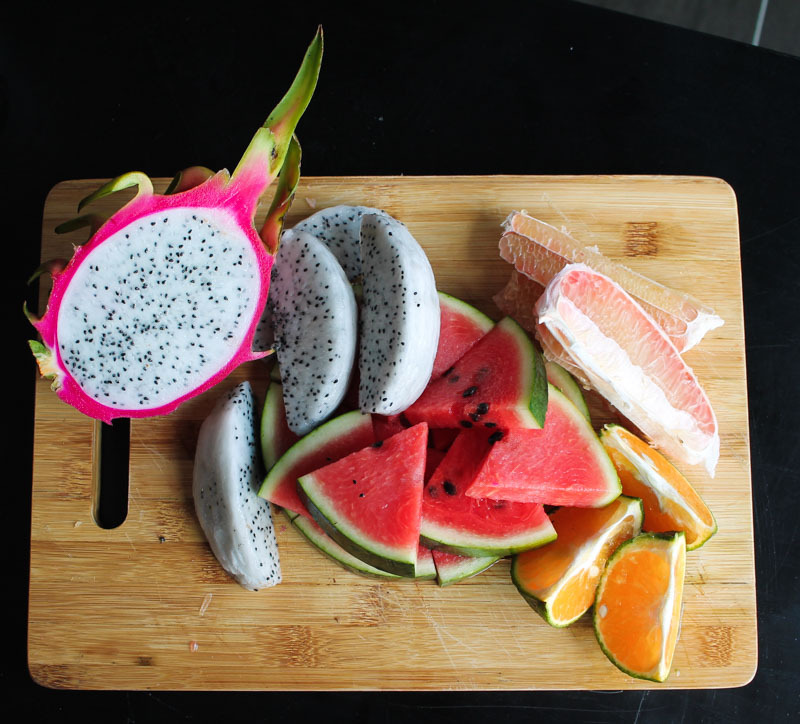 In addition, she insisted cutting up tons of fruit for us, and teaching us how to properly eat everything! Finally, on our way out she wished us all well and good luck in our futures. Next, we traveled to Jenny’s parent’s house where several members of her family were awaiting us. From the second we enteredwe were greeted with so many smiles, and the smells of fresh Vietnamese pancakes being cooked in the kitchen. Here, some of the women taught us how to roll fresh spring rolls. Afterwards, we all took turns making our own scrumptious spring rolls. It was just a wonderful afternoon eating some of the freshest, tastiest Vietnamese food, relaxing, and talking with everyone. 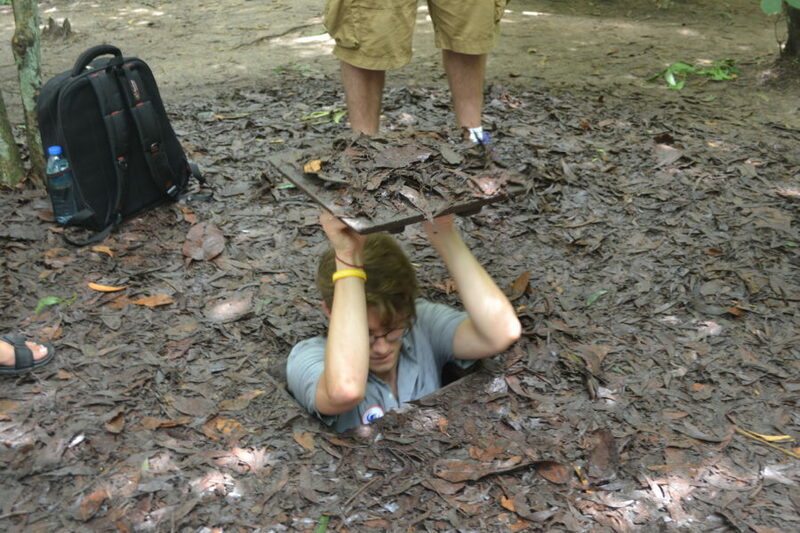 One of the last excursions we did during orientation week was visiting the famous Cu Chi Tunnels. 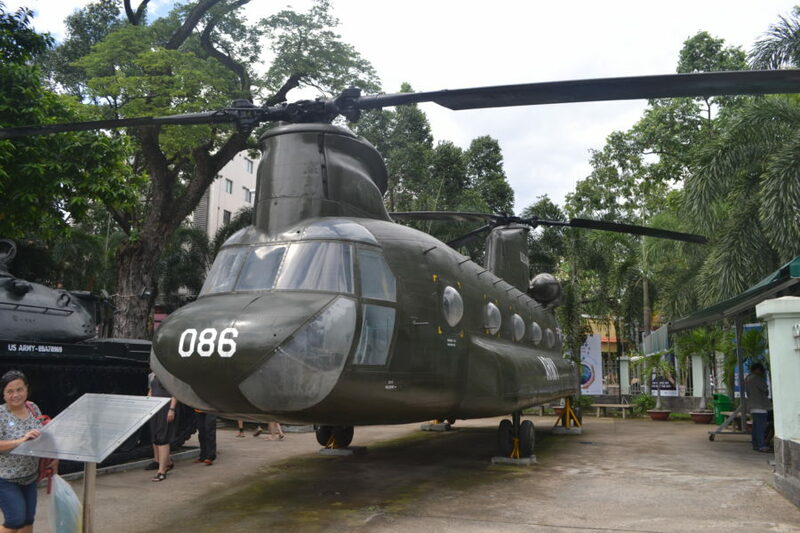 Here we were able to explore and learn even more about the Vietnam War. We were able to experience some of the small tunnels that soldiers lived in and fought from. If you wanted you could even walk or basically crawl through the tunnels under ground. 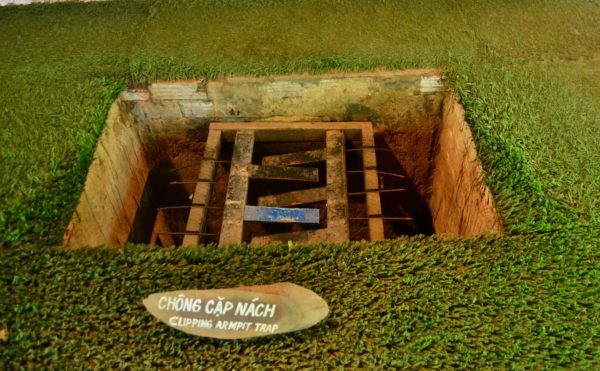 Visiting the Cu Chi Tunnels was an incredible and eye opening trip for me and the rest of the group about what life was like during the war. We ended the week with a large group dinner. 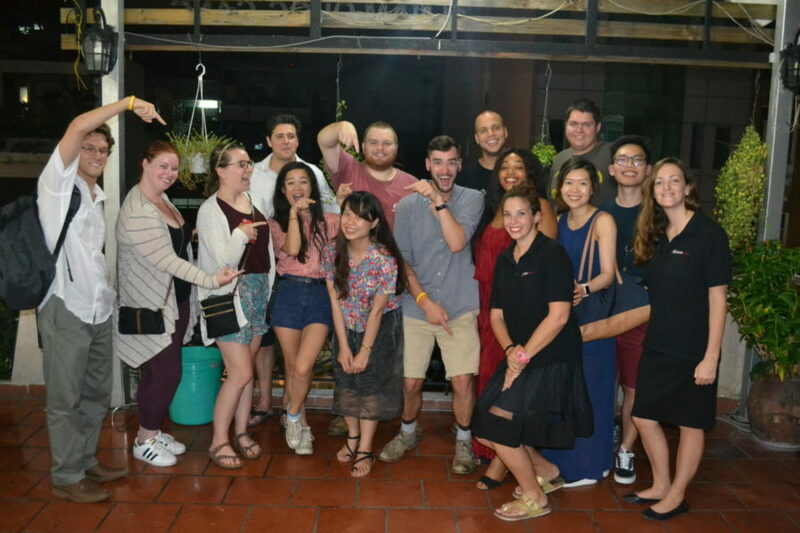 We all gathered together on the rooftop of a local restaurant and were able to just relax and secure all of the strong friendships that everyone had made during the week. There was so much delicious food for us to try and several local beer options. A local teacher also came and joined us for dinner. It was great for all of us to hear what it is like to teach in Vietnam. Overall, orientation week was packed with so many great activities and excursions. 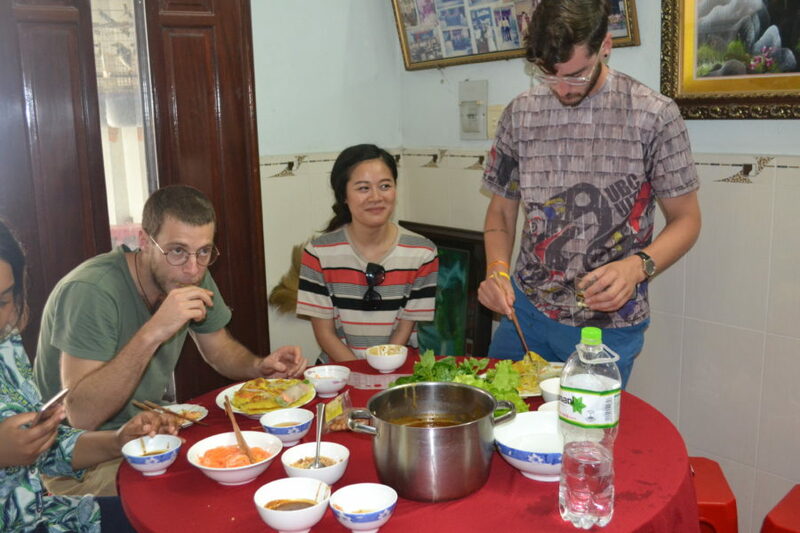 It let everyone get a taste for Vietnam; quite literally with all of the food we tried, and also get more insight on its culture and history. The perfect introduction to the Teach in Vietnam program!